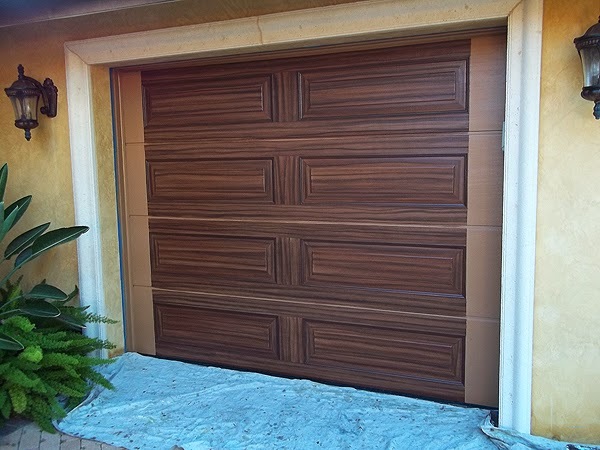 I completed a really nice garage door project last week. 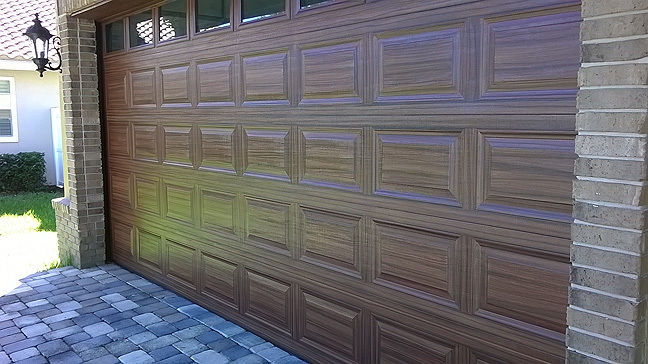 I painted two garage doors to look like wood grain. 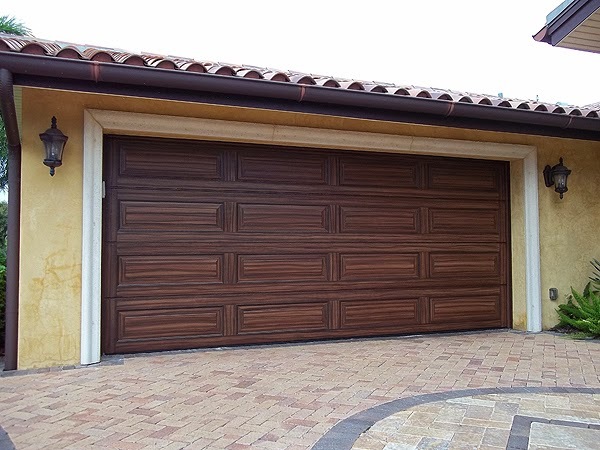 One was a two car garage door and then opposite it was a single car garage door. The following two pictures show how I have already cleaned the doors, primed them and applied the base coat of paint. The color of the base coat is a Sherwin Williams color called Toasty. 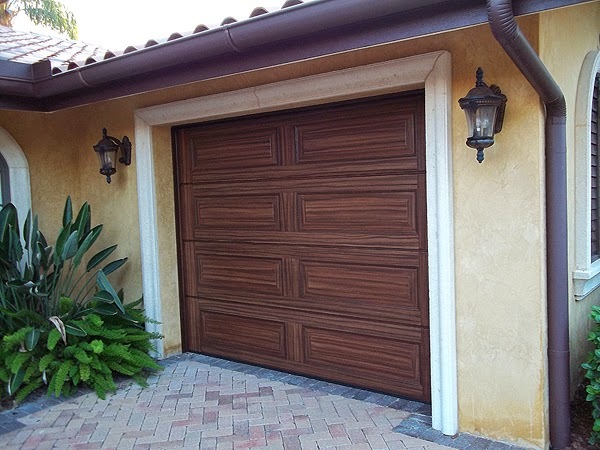 This color will give the faux wood grain the warmth of a real wood door. In the next photo I have painted the wood grain pattern on the top two rows of panels. The lone panel on the third row down only has the first of the two colors I use for the wood grain itself. I always use two color browns for the wood grain painting. Typically the first is a medium tone brown and the second color is a dark brown. On the single door in the next photo you can see how I have almost finished, all I need to paint are the two vertical spaces at either side of the door. When I get that done and it dries for about an hour I can apply the clear acrylic UV top coat. The next two photos show the completed doors. 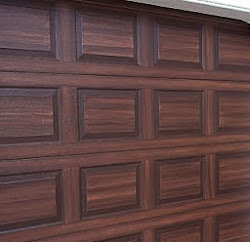 The colors I used to paint the wood grain on these garage doors are Sherwin Williams colors. The first brown I used is a color called Terra Brun, the second and darker color brown I used is Black Bean. The last photo here is a closer view of the wood grain pattern. 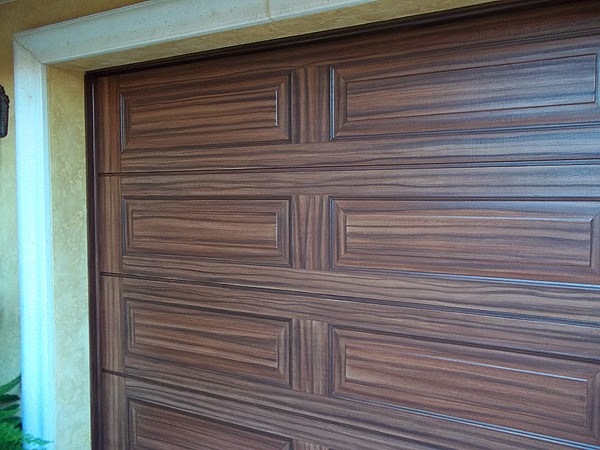 I created some pretty dark wood grain lines in this door and effect is really great. 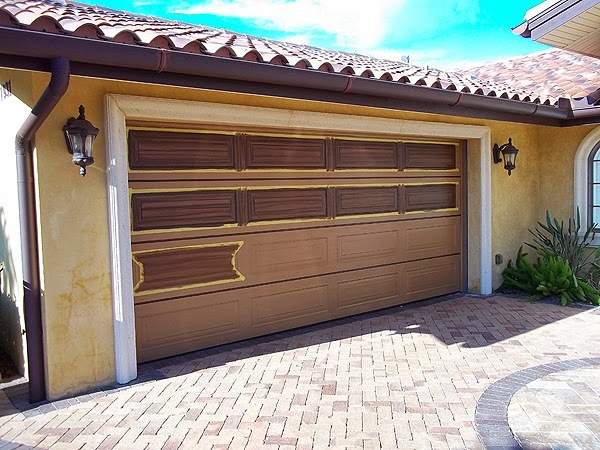 The homeowner loved the doors and it makes a huge improvement of the curb appeal for this home.